An unforgettable tale set in Victorian London and 1840s China from a shining, young historical talent. Desperate to shield her from scandal, Mary's brother-in-law, the ambitious botanist Robert Fortune, forces her to accompany him on a mission to China to steal tea plants for the East India Company. But Robert conceals his secret motives - to spy for the British forces, newly victorious in the recent Opium War. His task is both difficult and dangerous - the British are still regarded as enemies by the Chinese and exporting tea bushes carries the death sentence. In these harsh conditions Mary grieves for her London life and the baby she has been forced to leave behind, while her fury at Robert intensifies. As their quest becomes increasingly treacherous, Robert and Mary disguise themselves as a mandarin and man-servant. Thousands of miles from everything familiar, Mary revels in her new freedom and the Chinese way of life - and when danger strikes, finds unexpected reserves of courage. 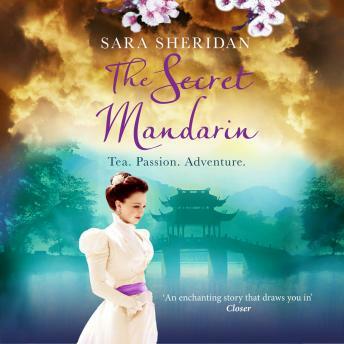 The Secret Mandarin is an unforgettable story of love, fortitude and recklessness - of a strong woman determined to make it in a man's world and a man who will stop at nothing to fulfil his desires.